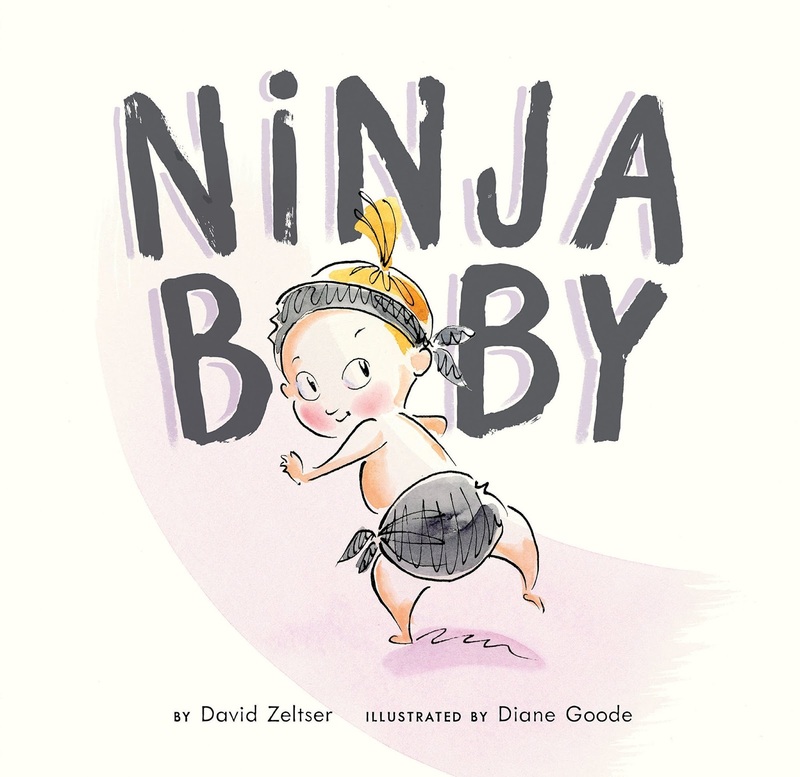 Ninja Baby, by David Zeltser and Diana Goode is a funny book with engaging characters and emotional illustrations. Nina the ninja baby comes out of the womb doing ninja kicks and "obliterating" her applesauce. Nina is an independent toddler who is later flummoxed by the arrival of a new Kung Fu master, her little brother. How does he stay so focused and keep the attention of the parents so well? Nina's feelings as an older sister are beautifully portrayed in this zany, clever, and perfect read-aloud! There are several laugh-out-loud moments in this book that are perfectly balanced with the heart of the story. The twist ending leaves you wanting to know more about Nina, her brother, and their mysterious parents. What ninja books have you read recently? Sounds like something I should get from the library. 10 Little Ninjas, by Miranda Paul, although it's a counting book and only one of the elements is ninjas. But still--ninjas! I love all of Miranda's books! Great review, Kirsti! I love Corey Rosen Schwartz's ninja series! 3 Ninja Pigs, Ninja Red, and Ninja Chicks. Arree's Ninja! Attack of the Clan sequel. Filled with heart and humor. Just saying thanks wouldn’t just be enough, for the fantastic fluency in your writing best infant toddler curriculum. Developed under the guidance of a reliable team of scientists, baby products are manufactured using time-tested herbal ingredients. I enjoyed the information lot. Thanks for sharing this information.visit this website for further details about baby products.